My garden is my oasis. While I don’t have a large budget or as much time as I’d like to be able to work on beautifying my garden, I find simple ways to add a touch of whimsy to my small plot. 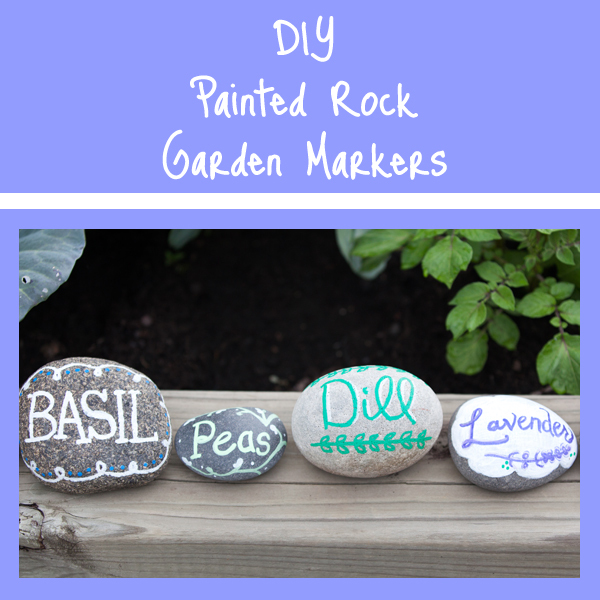 After scouring the web for cute, durable garden markers, I finally found the perfect project. Thanks Pinterest! Gathering stones was as simple as going to the beach on Lake Superior and filling up my Trader Joe’s bag. As for the paint, I decided to go with Elmer’s Painters. They are acrylic paint markers, which dry quickly and look great. I got mine on Amazon, but your local craft shop may have them as well. Once my rocks were painted, I sprayed them with a quick coat of Krylon Satin Clear finish. Since I’m not the most artistically inclined person, I decided to look online for a bit of inspiration. I downloaded a few Google Webfonts, and printed out a sheet with sample vegetables for a guide. While I used my font guide at first, I eventually started to feel a bit more confident and creative and pushed my artistic bounds a bit. I had a lot of fun with these, and I’m really pleased with how some of them turned out! Don’t they look cute? I just love them. They’re fun to make, too! 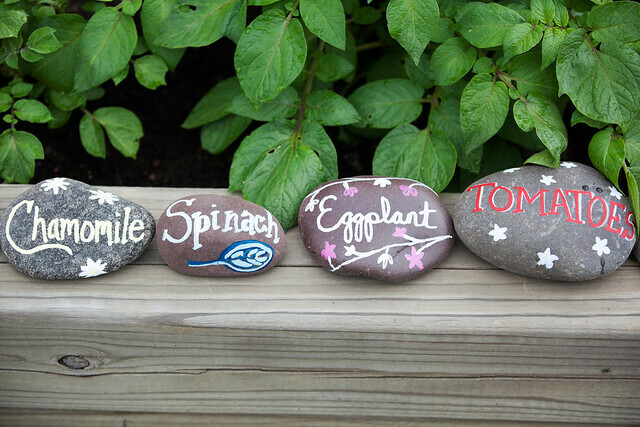 Now my garden is full of cute painted rocks. Has anyone else done this before? 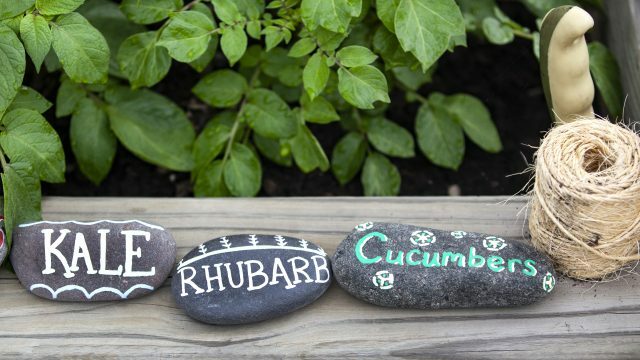 Or do you have another favorite DIY garden marker? I’d love to hear your ideas! Can I ask what type of marker you used so that it would be waterproof. Thanks so much. Hazel.